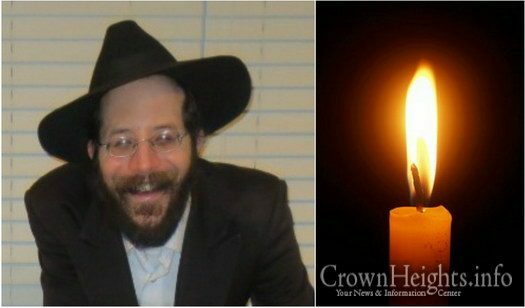 With great sadness we report the passing of Motti Horowitz, a resident of Coral Springs, Florida, who passed away on Tuesday, 28 Adar, 5779. He was 60 years old. With great sadness we report the passing of Harav Yossef Attuil, Shliach of Simon Bolivar in the 19th District of Paris. 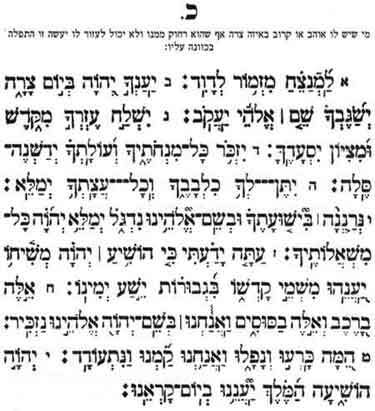 Please take a moment and say a Kapital Tehillim for Adel Yocheved Bas Chaya Chana, four and a half year old baby, whos’ family is a member of Chabad in Uzhgorod, Ukraine. She is in urgent need of a miraculous Refuah Sheleimah. 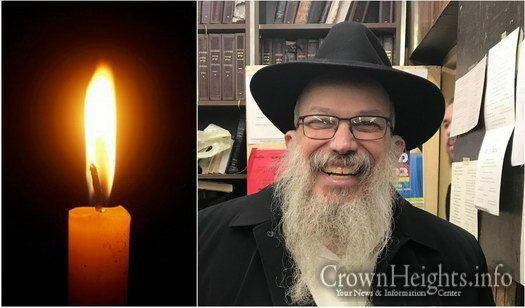 With great sadness we report the passing of Rabbi Yosef Simcha Blizinsky, OBM, one of the elder members of Anash in Crown Heights. 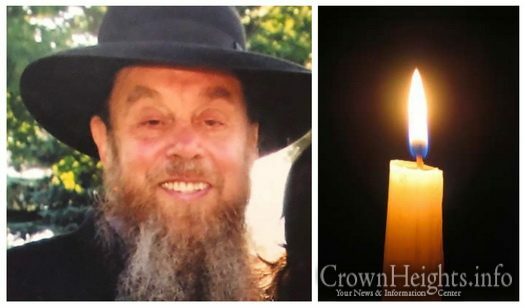 He passed away this morning, the 15th of Adar 1 5779. He was 86 years old. 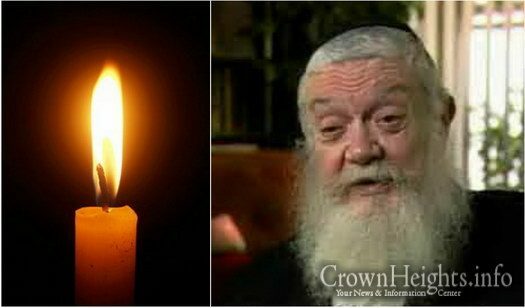 With great sadness we report the passing of Rabbi Moshe Ehrenstein, OBM, the head Mashpia in the Chabad Yeshiva of Tzfas. He passed away Friday, shortly after shabbos came in, on the 10th of Adar 1. He was 68-years-old. 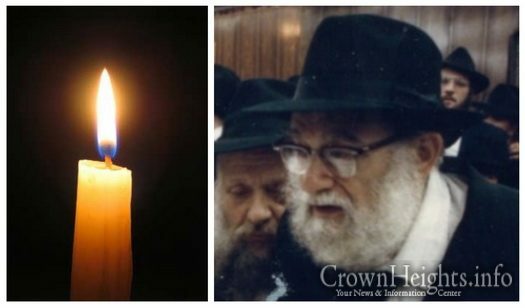 With great sadness we report the passing of Harav Hachosid Harav Hatomim Avraham Tzvi (ben Harav Yehudah) Landa OBM, the eldest living Chossid who survived the Second World War by escaping to Shanghai. He passed away on Friday 10 Adar 1, 5779, at 100 years old. Updated with Levaya information. 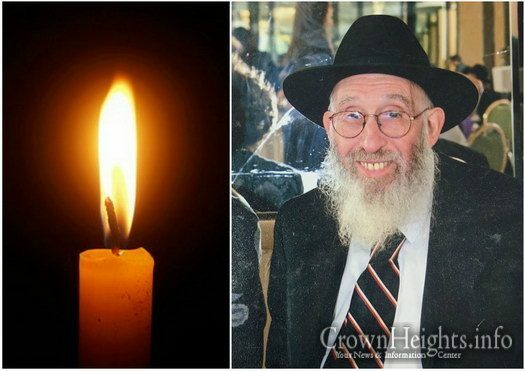 With great sadness we report the passing of Yitchak Yaakov Simon OBM, a longtime resident, and original caterer of Crown Heights. Updated with Shiva times. 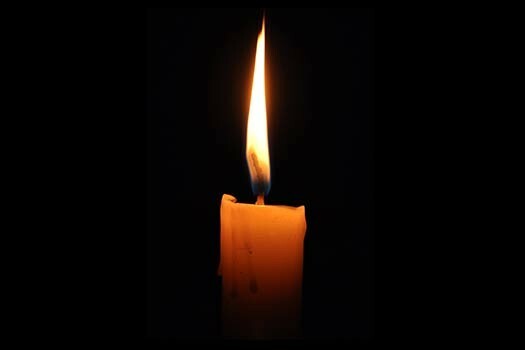 It is with profound sadness and deep pain that we inform you of the sudden and untimely passing of Moishe Deitsch OBM, a resident of Crown Heights who passed away on Friday, gimmel Adar 1 5779 after a brief illness. 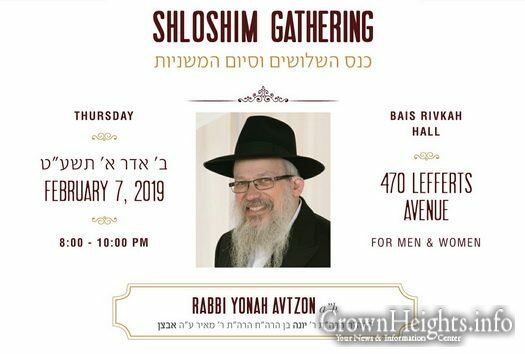 The community is invited to an inspirational evening honoring the Shloshim of Rabbi Yonah Avtzon A”H, with addresses by Rabbi Simon Jacobson and others. 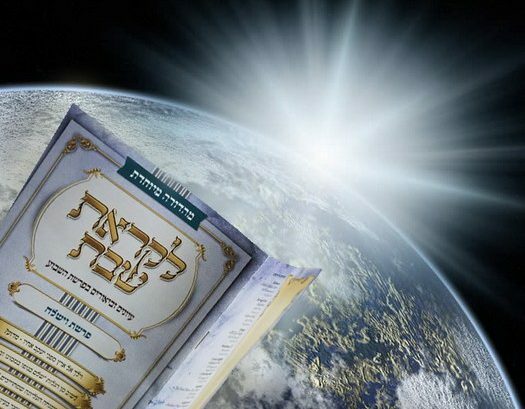 The event, for men and women, will take place at the Roza Hall (Bais Rivkah), 470 Lefferts Avenue, from 8:00 – 10:00 pm. 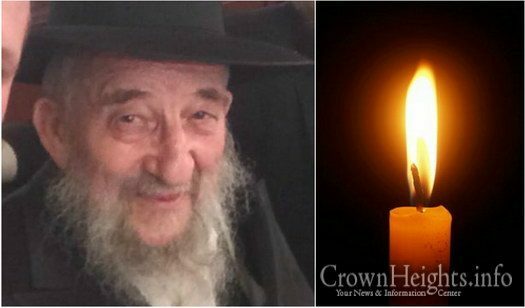 With great sadness we report the passing of Hatomim Rabbi Yehoshua Wilansky OBM, a long time resident of Crown heights. Updated with Levaya information. 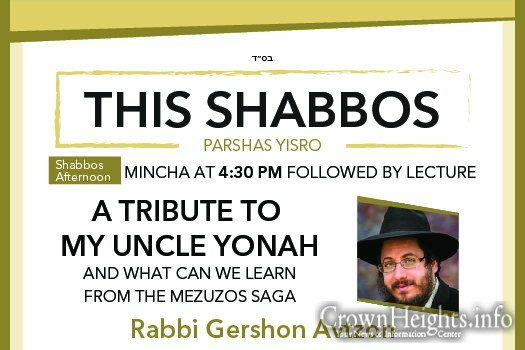 This Shabbos at the Besht: Rabbi Gershon Avtzon is the Founder and Rosh Yeshiva of the Yeshivas Lubavitch Cincinnati. He will be giving a tribute to his uncle Yonah Avtzon, and discussing what we can learn from the mezuzos saga. 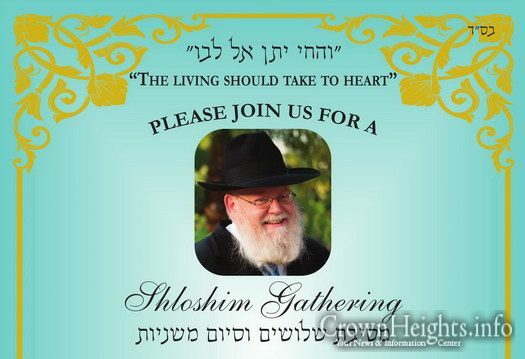 Family and friends of Reb Shmuel Finck OBM are invited to an event marking the shloshim since his passing. The event will take place on Thursday, January 24th, Ohr L’yud Tes Shevat at Lubavitch Yeshiva Crown Street. The event is scheduled to begin at 8:00pm. With sadness we inform you of the untimely passing of Mrs. Shterna (Shterke) Sara (Notik) Partouch, OBM of Yerres, France. She was 69 years old. The committee of Keren Yisroel Aryeh Leib, a Gemach that benefits Many Crown Heights families, is inviting the community to join its annual Melava Malka this Motzai Shabbos at Beis Rivkah-310 Crown Street, beginning at 8:30pm. This Shabbos at the Besht: Rabbi Yehuda Clapman is a practicing sofer for 50 years, he is the sofer of 770 for the past 40 years. Rabbi Clapman studied safrus with Rabbi Eliezer Zirkind OBM. 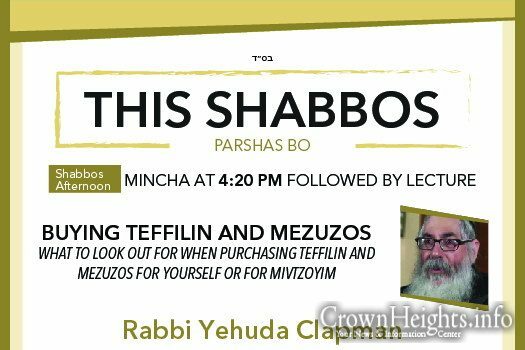 He will be speaking on the topic, Buying teffilin and mezuzos,What to look out for when purchasing teffilin and mezuzos for yourself or for mivtzoyim. Rabbi Noach Bernstein is sitting Shiva for his brother Moishe z'l. He will be sitting Shiva at 852 Eastern Parkway, 3rd Floor, and needs Minyanim three times a day. Shachris is at 9:15am, Mincha and Maariv bzman. 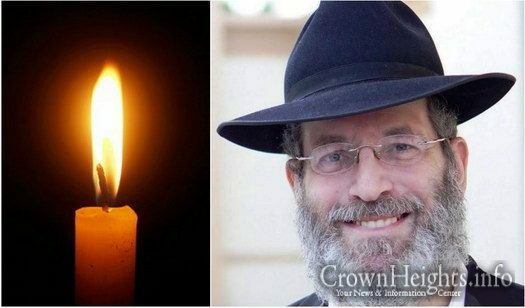 Rabbi Noach Bernstein is sitting Shiva for his brother Moishe z’l. He will be sitting Shiva at 852 Eastern Parkway, 3rd Floor, and needs Minyanim three times a day. Shachris is at 9:15am, Mincha and Maariv bzman. 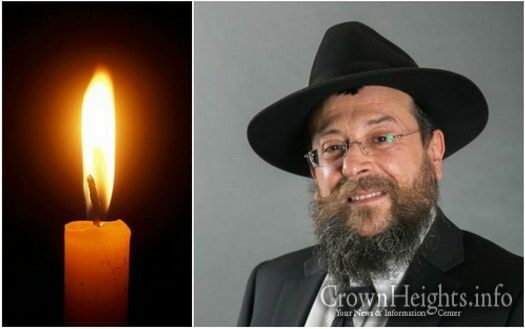 With great sadness and pain we inform you of the passing of Rabbi Yonah Avtzon OBM, a member of Anash of Crown Heights, he was 61 years old. Updated with Levaya information.